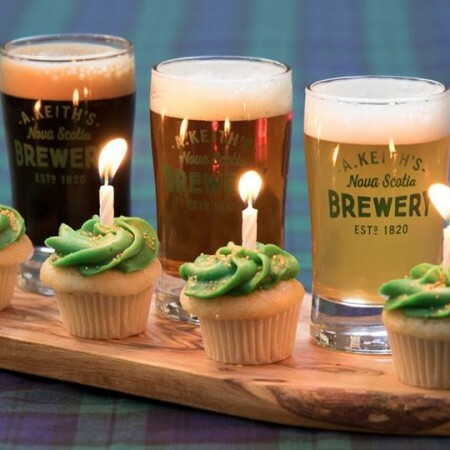 HALIFAX, NS – Alexander Keith’s – a division of Labatt/AB-InBev – has announced that it will be marking the 222nd birthday of its founder tomorrow (October 5th) with several parties across the country, and the release of a special limited edition beer in Halifax. Parties will also be taking place in Montreal (McLean’s Pub, 1210 rue Peel), Toronto (Fynn’s of Temple Bar, 489 King St. W.), and Vancouver (Blarney Stone, 216 Carrall St.), all featuring East Coast inspired food and entertainment, and the rare appearance of some limited edition beers from the small batch brewery in Halifax alongside core Keith’s brands. For more details, see the Keith’s Facebook page.